Vortex Sparc 2 Review : Should you buy this 2 MOA Reflex Sight? Vortex Sparc 2 Review : Should you buy this 2 MOA Reflex Sight from Vortex? Compared to Vortex Sparc AR, the Sparc 2 can be mounted lower. Sparc 2 uses CR2032 to power its red dot while the Sparc AR uses an AAA battery. More bluish tint is pronounced on Sparc 2’s glass compared to the Sparc AR. With all that said, Vortex has replaced Vortex Sparc 2 line with the new Crossfire red dot. It has better battery life, similar glass, rotary dial brightness design but no NV capability. Vortex Sparc 2 is an affordable red dot sight under $200 which, even though not a SHTF red dot where you depend your family and your life on, but could serve you well on range guns or hunting guns where stakes aren’t as high and budget is more of a focus. But is the Sparc 2 the best deal in its class or is there a better red dot? Worry not, I’ll tell you all there is to know about this optics so you can make informed decision whether the Sparc 2 is the right optic for you. 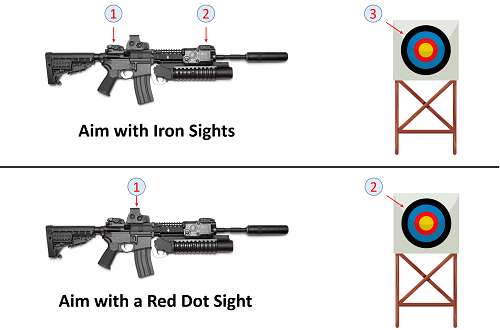 Speed and accuracy advantage of red dot sight over iron sights is significant. 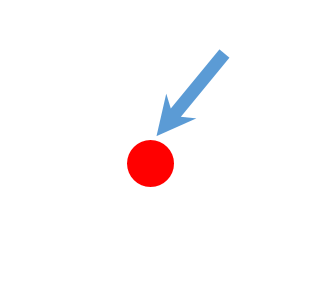 For red dot sight, you align 2 things : target and red dot. While you align 3 things for iron sights : target, front sight and rear sight. For those of you who wanting to get your hands on Vortex Sparc 2, please note that Vortex has replaced the Sparc 2 with the Crossfire red dot. Even though some vendor still carry the Sparc 2, you are better off with the Crossfire red dot as it is cheaper and gives similar quality. Vortex Crossfire red dot is relatively new at the moment, but is gaining popularity and has overwhelming positive reviews. My recommendation? Sparc 2’s replacement, Vortex Crossfire red dot, is a good buy if you want affordable, low mount, 2 MOA red dot with acceptable quality and stellar warranty from Vortex. Since no optics nor products exists in isolation. And words such as “crisp” and “great” dot don’t really mean much when you have no benchmarks. I’ll be comparing Vortex Sparc 2 with other red dot sights in similar price range, so you know what’s the best option for your money. 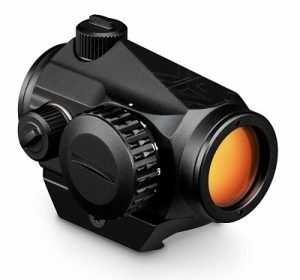 Read on to find out why Vortex Sparc 2, even though impressive, isn’t a perfect red dot sight. These are 2 popular options in the market with similar price point and should give you a realistic feel of how good Vortex Sparc 2 really is. Before getting to the comparison part, let’s familiarize ourselves with Vortex Sparc 2 first. 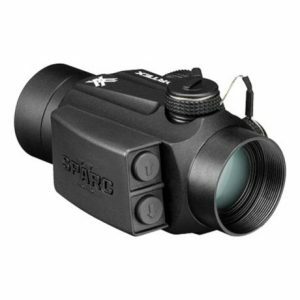 The Sparc 2 has 22mm objective lens. The 2 MOA dot has 10 brightness settings, 2 of which are night vision compatible. Next, to determine Vortex Sparc 2’s performance, I lined it up alongside the Sparc AR and the Crossfire red dot. Comparing head to head, I found that the Sparc 2’s glass performs slightly worse compared to the Sparc AR, as its glass has darker blue tint, which tends to darken your view. The Sparc AR glass color is more natural. On the other hand, the Sparc 2 and the Crossfire have similar performance. All 3 optics have bright dots which can be used outdoors on sunny days. Both the Sparc 2 and Sparc AR have 10 brightness settings with the lowest 2 being night vision compatible. The Crossfire, instead, has 11 brightness settings but no night vision compatibility. First of all, I need to say that the Sparc 2 isn’t an ideal red dot for Home Defense situation as it lacks the required reliability and durability. If you have enough money, you should always go for Aimpoint, EOTech or Trijicon brands. The Aimpoint PRO is a “rather affordable” red dot for serious Home Defense optics. With that out of the way, we can say that super reliable batteries, “always on” function or motion-activated feature aren’t as important for a range gun or a hunting gun. But we still want low battery consumption, easy to acquire batteries and easy to operate optics right? The Sparc AR is powered by an AAA battery which is easier to find and is one of the big selling point of Vortex Sparc AR. Crossfire’s battery life is a significant improvement over the old version and compensated for its lack of auto-off feature. The Crossfire battery life even beats the Sparc AR by a wide margin. Auto Off feature is nice to have, as forgetting to turn off the red dot won’t drain your battery empty. The Sparc 2 has push “Up” and “Down” buttons located on it rear-left side which is easier to operate with your left hand. Sparc AR instead features ambidextrous push “Up” and “Down” buttons which are located on the rear and are easy to operate with both hands. The Crossfire red dot has a rotary dial design on its right sideof the optic and is easier to operate with your right hand. With the Sparc 2, you get a low mount (18mm) and a high mount (37mm) of which you can add a 3mm spacer for further adjustments. For the Crossfire you have a low mount and a 1/3 co-witness mount included with your purchase. The Sparc 2’s parallax error is larger than high quality models such as the Aimpoint Pro. But for the price, it’s a fine optic where you can fire relatively accurate without a perfect cheek weld. New Crossfire design is even lighter and more compact than the previous Sparc 2. Vortex Sparc 2 is durable enough for non home-defense or occupational applications. Again, if you’re into serious use, consider getting a higher end red dot. I personally have a great run with Vortex Sparc 2 and have no durability issues with the red dot. 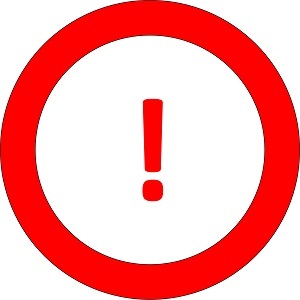 Furthermore, Vortex Lifetime warranty and Customer Service have great reputation and you can rely on them if any issue arises. With all that said, Vortex has replaced Vortex Sparc 2 line with the new Crossfire red dot. It had better battery life with similar glass while being cheaper.